Abstract: In this interview, David Nordahl talks about his experience working with Michael Jackson on art and design projects, and their friendship. Nordahl, David. 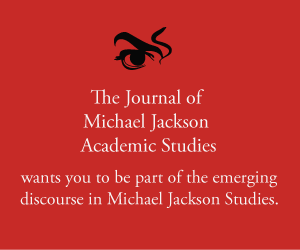 “An Interview with David Nordahl.” Interview, The Journal of Michael Jackson Academic Studies 5, no. 1 (2017). Published electronically 28/11/17. http://michaeljacksonstudies.org/an-interview-with-david-nordahl/. David’s work for Michael is wonderful. Thank you for this bit of insight into what it was like to collaborate with him on so many projects.